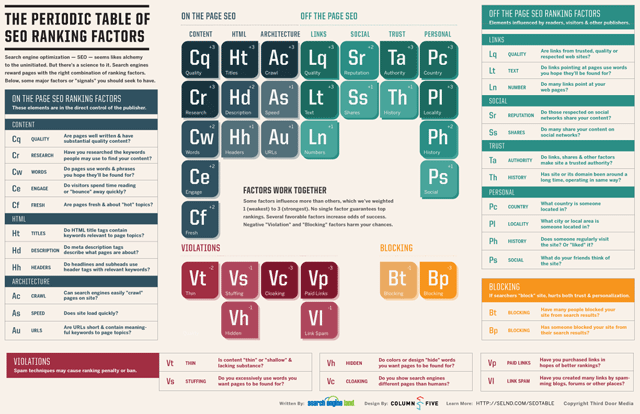 Danny Sullivan has put together a mind blowing style of inforgraphic named The Periodic Table Of SEO Ranking Factors. 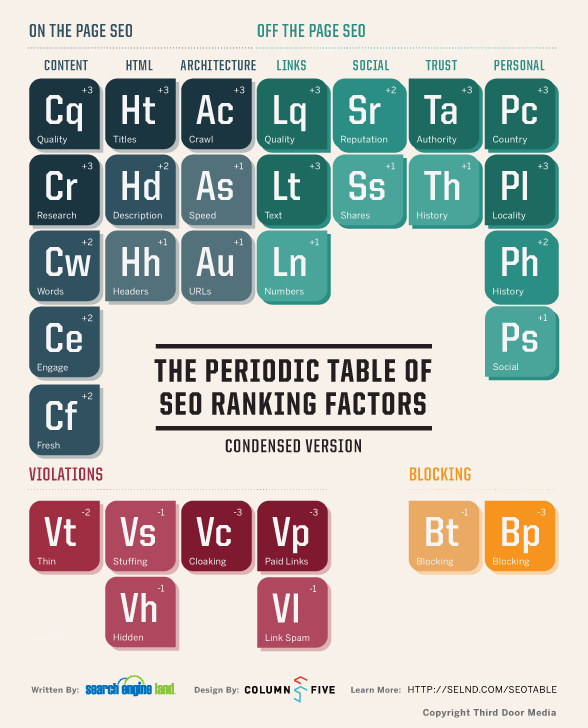 Danny explained he put this together in order to "help clear away some of the mystery and fear for those new to SEO, and provide a "reset" for those who are experienced." You can find the full size image and links for more information at searchengineland.com/seotable.